Hurricane Harvey Media Coverage: Talk about Climate Change, and not how the first lady is dressed. Since 2010, climate change related “natural” disasters have cost the United States a total of over a trillion dollars, and that’s excluding whatever the cost of Hurricane Harvey will amount to. That’s also excluding the human costs in deaths, and physical and emotional damage to the people affected. All in all, the costs, both in human, financial and economic resources, have been as colossal as the the effects have been obvious. The latest climate related catastrophe is currently taking place in Texas, as I write this piece, in the form of Hurricane Harvey, and it has already dumped up to 19 trillion gallons of rain so far. 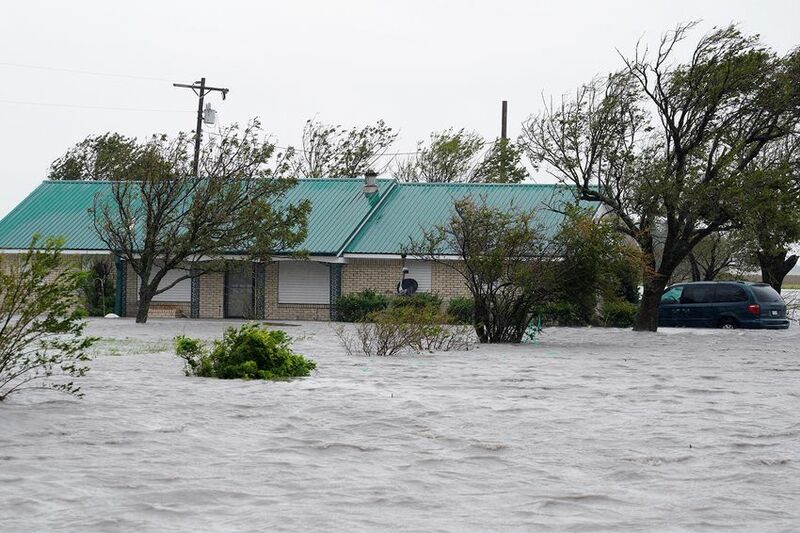 According to meteorologist Ryan Maue of WeatherBell, a private forecasting firm, “at least 19 trillion gallons of water has fallen on Texas since the storm began. A whopping 1.2 trillion gallons has inundated Harris County alone” Maue said. For perspective, 19 trillion gallons is enough water to cover all of Alaska, California, and Texas in about an inch of water. Hurricane Harvey has affected a total of about 6 million people who have seen at least 20 inches of rain, and more than 4.9 million people have seen about 3 feet of rain in the Houston area which is the ground zero of the disaster. Also, about 3,500 people have had to be rescued from Houston and surrounding areas, with over 17.000 people already in shelters as at Monday night. Harvey brought about a year’s worth of rainfall, or more, in a time span of just the past 5 days. Houston’s annual average is 49.77 inches, while Mary’s Creek, Texas has picked up 49.32 inches since Friday alone. To get a better idea of just how much water this is, consider that more rain fell in the past 5 days in Houston than typically falls all year in Chicago or Seattle. Hurricane Harvey is being touted as the strongest hurricane to hit the United States in 12 years which makes it the strongest since Hurricane Katrina. 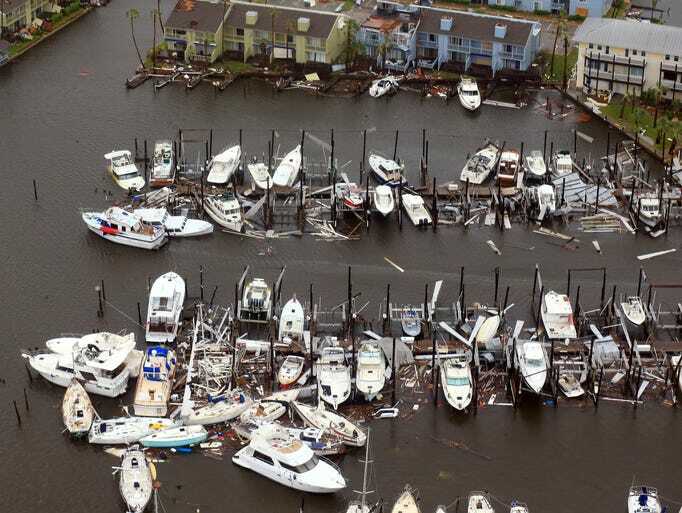 The strenght and devastation of these climate change related natural disasters, if you can still call them natural at this point, pales in the face of the actions of politicians and high political office holders who fall in the climate change denial group. This is because such people who hold green policy decisions hostage in our national Congress make fighting climate change impossible, and condemn our country to these catastrophic events. Texas happens to have a lot of these congressmen and women who, due to the fact that they’re beholden to the oil industry which is the main driver of Texas economy, deny climate change even though they know it is real. It’s not only Texas and the oil industry who deny climate change for selfish business reason, but many other states and industries like the coal industry and the states who harbor it. These businesses buy off law makers at both state and national levels, and the bought law makers block all efforts to make legislation that will help the climate. What these business owners and the politicians they buy keep forgetting is that the effects of climate change gets to affect everyone when they happen. The hurricanes don’t spare the rich people who own the businesses, or their businesses, when they make land fall. They do not spare the politicians who take bribes in order to deny climate change, but everybody and everything in its way is destroyed with the same gusto, no matter whether they’re rich or poor, or own big businesses or not. I wonder how many oil business installations are affected by Hurricane Harvey, and how many oil industry share holders and stake holders are affected by it. Another major point being missed by these selfish climate deniers is that Mars is not yet habitable, and that all the wealth they have sacrificed the planet to gather will become useless when the earth becomes uninhabitable due to their actions. If the whole of Texas gets submerged and becomes part of the Gulf of Mexico, I doubt that the oil industry will still exist over there, or that it will still be booming as it is today, if it survives. Ditto all the states that have coal mining as economic drivers, and as a result, fight efforts to curtail climate change. Hurricane Harvey damage in Corpus Christi. Climate change is real, and the sooner we start fighting it, the better for us. Most of us know this, including all the people leading the charge on its denial. Mobil, a major oil industry player, wrote a paper from a study it did and denied climate change, even when the findings from its study showed climate change to be real and man made. Today it’s Texas turn to bear the brunt. Who knows whose turn it’ll be tomorrow? Who knows how devastating it will be for whoever gets it tomorrow? It’s a shame that all the argument about hurricane Harvey has centered on who is doing what to help the victims, and whether President Trump has visited Houston, and what he did during his visit, and how he did it, and what he and his wife were wearing during the visit – such frivolous nonsense is what has been all over the airwaves. Nobody is saying much about what role climate change played, and what our politicians are doing, or not doing about climate change. That should be a major part of the coverage of these disasters, because it’s only this time when most people’s eyes are glued to their television watching what is happening that you can also educate them on the causes of these disasters, and what their political office holders are doing, or not doing, to curtail it. The media would rather talk about how the President and First lady were dressed, and how the president delivered his speech. Why? Previous Reality bites: This summer is Hollywood’s worst in 25 years. Next The only thing President Trump did wrong was defeat the establishment.